1000 marathons and 23 years on from a ‘New Year's Resolution’ made to clean up his life, Rory Coleman has really earned the name, 'Marathon Man’. On January 5th 1994, the former 40-a-day smoker and hardened drinker could only manage to run just 100 metres. Far from being disheartened, he felt ecstatic, as he’d found a way to clean up his act and live the rest of his life to the full. Fast forward to today and Rory’s amazing journey has passed an almighty milestone, now he's completed his 1000th marathon at the Ikano Bank Robin Hood Marathon in Nottingham, on the 24th September 2017. What makes this an even more remarkable feat is that Rory was diagnosed with Guillain-Barré Syndrome last year, which left him temporarily paralyzed. Rory said: ‘I never set out to run a marathon or even a 1000, I just knew I needed to go for a jog to sort my life out.’ ‘Last year when I was struck down with Guillain-Barré Syndrome and was paralysed from the neck down, I’m sure it was my running resilience and fitness that first got me walking and then onto completing a further twenty-three marathons to get me to the start line of the Robin Hood Marathon ready for the 1000th’. His 25,000-mile running journey, equivalent to that of running around the equator, has seen him complete at least one marathon every week for the past 22 years. Rory has participated in the classics such as London, New York and Chicago Marathons as well as some of the most extreme marathons the world has to offer, like the world’s toughest - the famous Marathon des Sables, in Western Morocco's Sahara Desert. His extraordinary achievements haven’t gone unnoticed, as he's set nine Guinness World Records for treadmill distance running and nearly a quarter of his 1000 marathons are Ultramarathons, which are further than the set 26.2 miles, including the 145 Mile Grand Union Canal Race from Birmingham to London all in one go. In 2007, after a long career in Design and Print Sales, Rory made his passion his business and qualified as an Advanced Personal Trainer. Since then he has built a world-wide client base and has trained many celebrity clients, including Sir Ranulph Fiennes and BBC TV’s Helen Skelton. 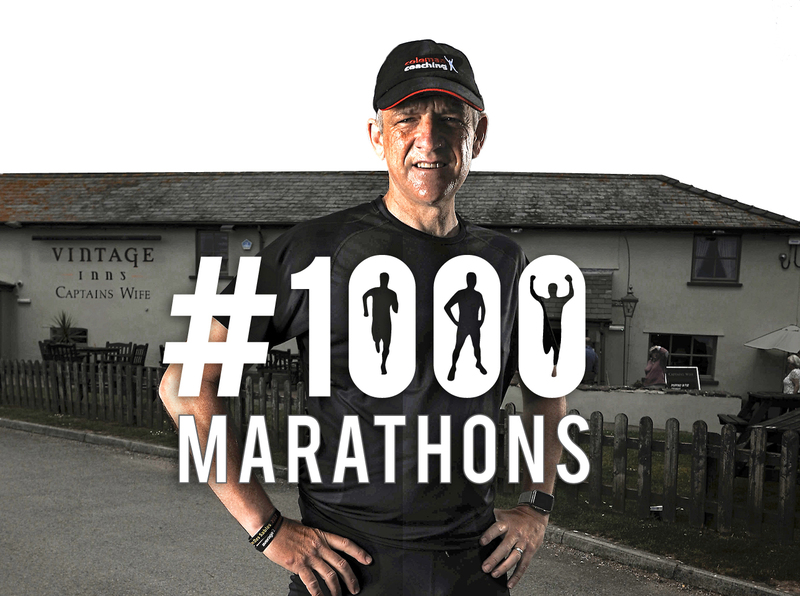 He is now the UK’s Leading ULTRA-marathon Coach and is regularly featured on the TV and in the Press and Running Magazines as well as being invited to speak to businesses about ’The Process of Change’. It’s not the end of the story either as Rory is going to continue his marathon journey, and shows no sign of stopping just yet and will carry on coaching and inspiring others to put on their trainers and get fit and active just like he did back in 1994.